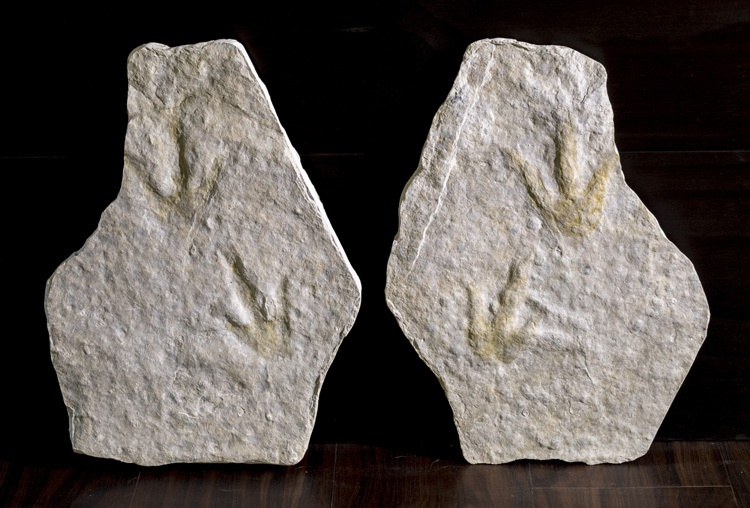 A large matching pair of Grallator Variabilis Dinosaur footprints from Languedoc-Roussillon, France. 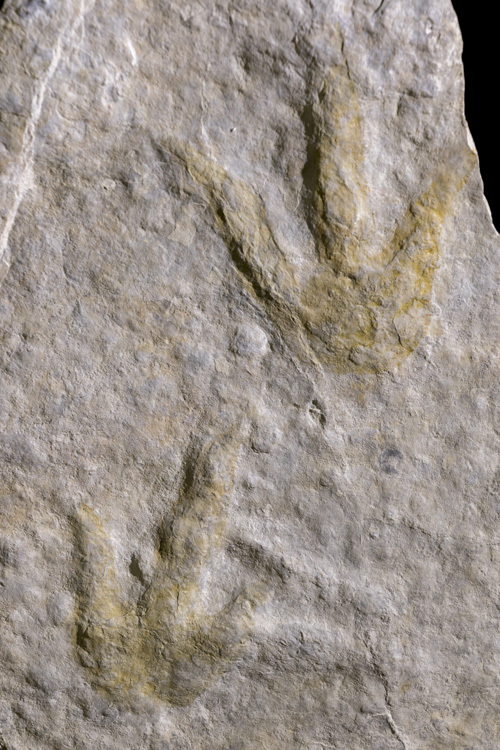 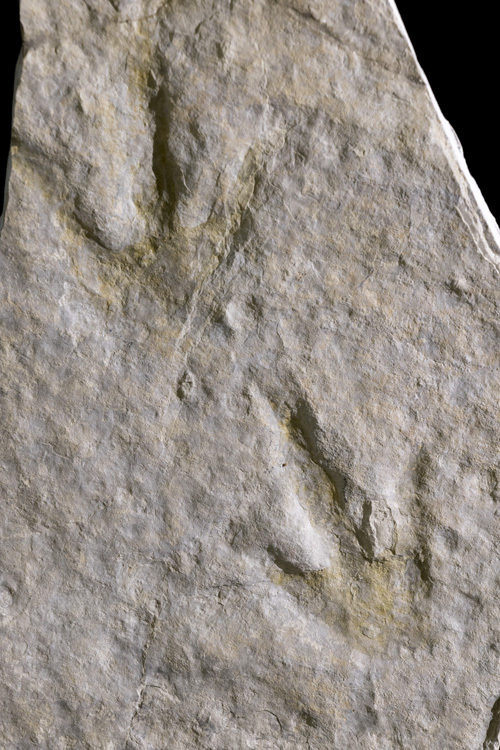 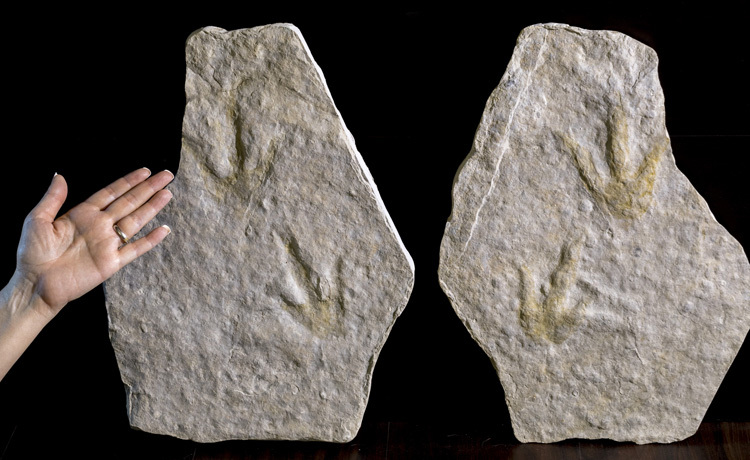 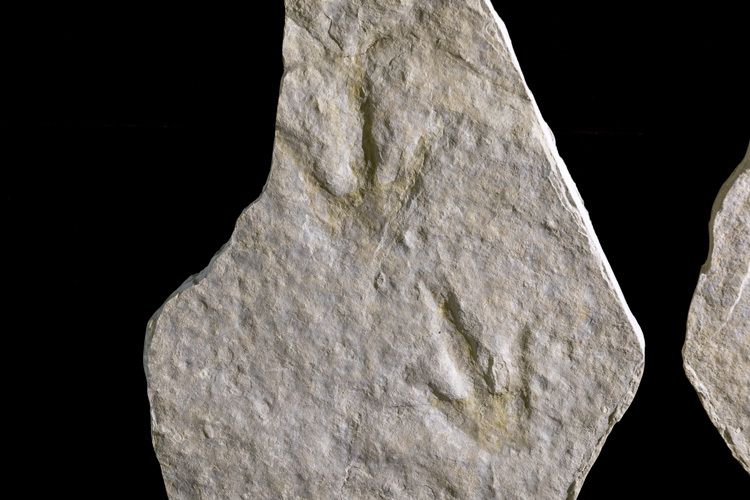 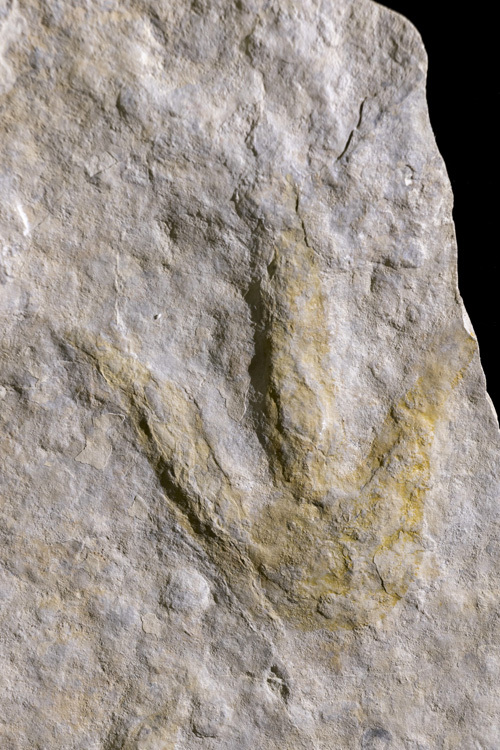 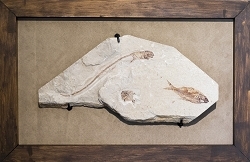 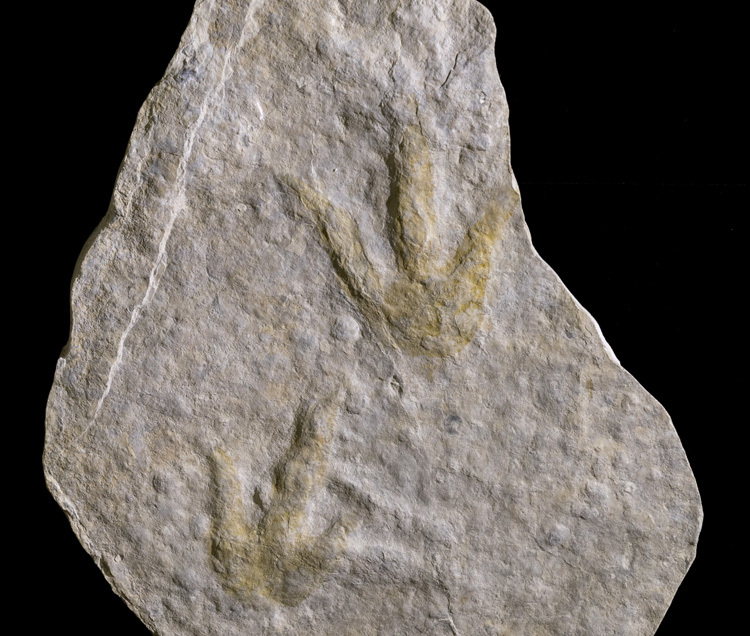 These two plates are the same footprints, but the one on the left is the negative (the impression actually left by the dinosaur), and the one on the right is the positive. 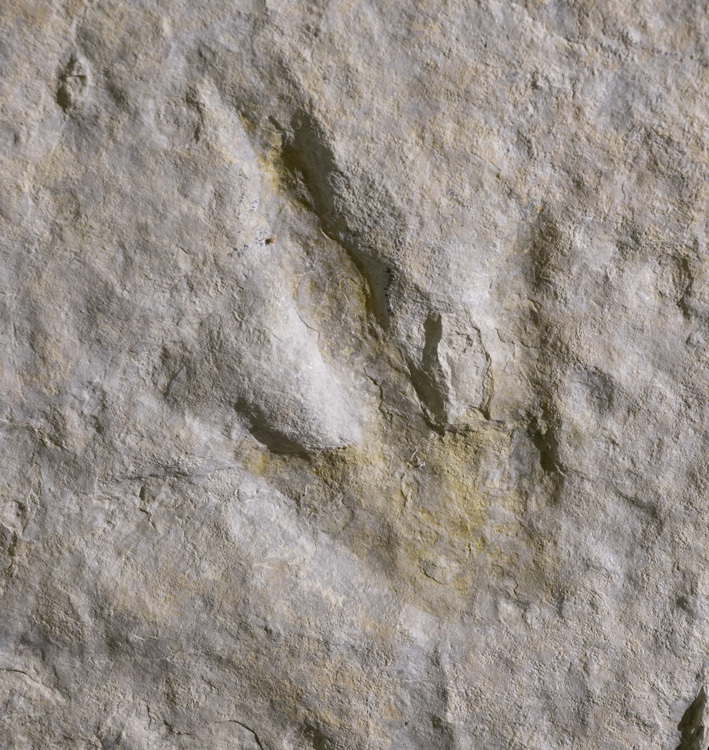 The footprints are ~200 million years old - from the Hettangian (Lower Jurassic) period. 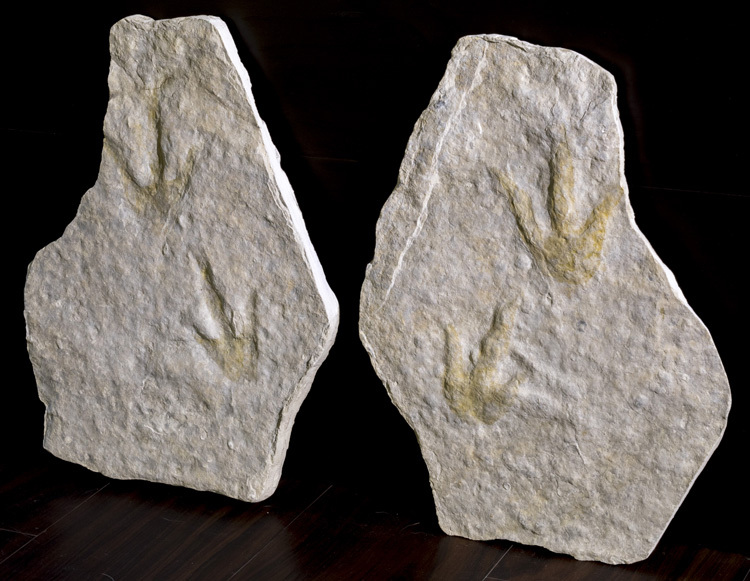 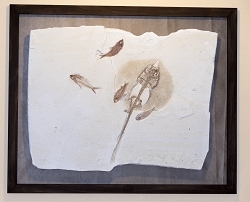 The negative plate is approximately 11.5" x 15" x 1", and the positive is approximately 11.5 x 15.5 x 0.6". 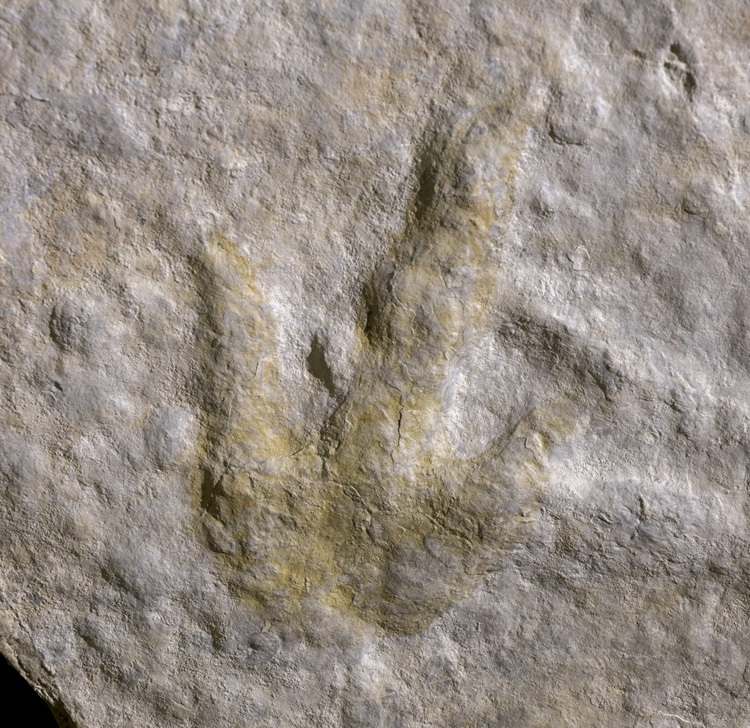 The footprints are just under ~4.5" long.